The Rebel Sweetheart. : Discovering the Joy of Traditional Irish Musical Instruments. Discovering the Joy of Traditional Irish Musical Instruments. Music is a huge part of Irish heritage, and there are very few occasions when someone will not play a traditional musical instrument. There are several traditional instruments to choose, including the Bodrum, tin whistle and Irish flute. However, it is the fiddle that appeals to many people, and demand to learn this fascinating and fun instrument is increasing. Learning the fiddle will take commitment, and you will soon realise that it is not as easy as you may think. However, there are some excellent teaching programmes and academies available, to ensure that you learn the correct way to play the fiddle. This musical instrument is identical to a violin, but the playing style is very different. From the moment that you pick your fiddle up, you will fall in love, and want to entertain everyone with your music. There are some complicated aspects that you will need to learn, however, every stage is fun and will introduce music to your life. Fiddle lessons are available through specialist teachers, including online academies. Learning a musical instrument online has become an incredibly popular style of learning, and more people are choosing to pick up an instrument and log on to the academies. Choosing the right one will guarantee that you learn at a pace which is suited to your needs. The Online Academy of Irish Music is excellent, and will provide you with everything you need apart from the fiddle. Whether you want to learn the basics about the fiddle, or a more advanced course, there are lessons for everyone. You will be able to enhance your playing abilities, and grow with your instrument, through your passion and desire to learn. You may be a complete novice but in a short space of time you will have the confidence you need to pay the fiddle to it's full potential. There are varying techniques and postures that you need to learn, which will provide the foundation for an excellent fiddle player. Once you are confident that you understand how to play the fiddle, you can move on to the next course. At any time, you can remain where you are, and there is never any pressure to move forward. Some people want to learn the fiddle for pleasure and others as a profession, which will need greater skills and knowledge. There are tunes that are only suited to the fiddle, and you will be taken on a journey to discover these, and enjoy what you are playing. There are often competitions to enter in Ireland, and some people strive to enter, and win. 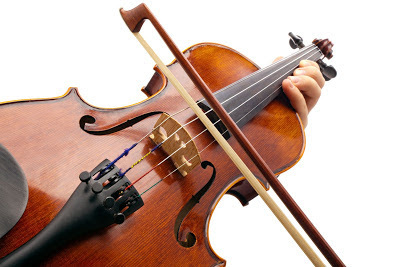 Throughout Ireland, every county will have a different fiddle playing style, with jigs being appropriate to that area and the people who enjoy the music. You may want to learn a collection of music, or specialise in an area, regardless you will have fun along the way. Every teacher is there to assist you, and guide you through the fiddle playing process. yhough am a music lover but don't know about fiddle,so nice to know about this instrument and ireland culture. I learned the fiddle/violin when I was young and it's a really lovely instrument. My kids play the piano. What a great post! My brother can play the fiddle, though I haven't heard him do it in years. It's beautiful music! Awesome post! I have 2 kiddies that are playing instruments, I would love to learn! I never had musical inclination so I'm just amazed with people who knows how to play. It would be wonderful to be able to play an instrument. That's why I'm such a huge fan of the Corrs. Everyone in the family plays a musical instrument. When they play together, it's magic.